After embarking on one of the most epic monetary stimulus experiments of all time, reality may finally be settling in for officials from the Bank of Japan. The combination of negative interest rates and asset purchases have so far been unable to shake the latest wave of deflation, raising speculation that the only moves left to restore inflation are even lower interest rates and an operation “twist” that closely echoes how the Federal Reserve adjusted its own balance sheet to avoid completely flattening out the yield curve. However, based on the rapid reversal in the Japanese bond market, it looks as though the current policy measures are rapidly unraveling, indicating that further action on interest rates could be on the way as early next week when the Bank of Japan meets to decide policy. Fundamentally, the entirety of the Bank of Japan’s monetary policy focus has been dedicated towards weakening the Yen over time in an effort to reverse longstanding declines in other areas, namely inflation. However, as the latest data shows, the Japanese economy remains firmly in a state of deflation, with annualized consumer prices printing in negative territory for the last five months straight. While generally it is noted that a single practitioner of monetary easing is likely to reap the benefits of record low interest rates and quantitative easing, in an environment where most sovereigns are cutting rates and adding monetary stimulus, the Bank of Japan’s efforts are being drowned out by global activities. 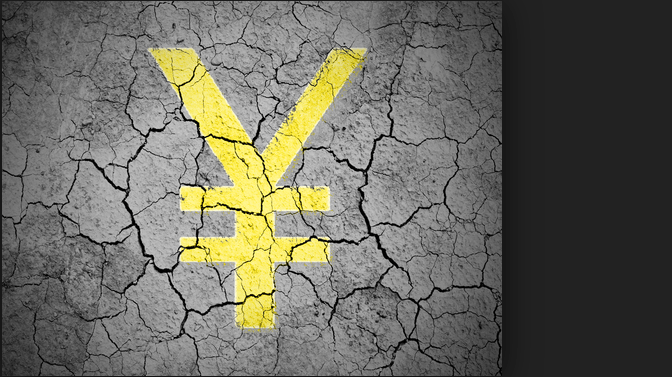 The result has been a recent strengthening of the Yen as markets have come to expect increasingly more aggressive actions to reverse the appreciation. Although the fiscal stimulus measures announced last month by the Government were greeted with optimism, the subsequent lack of action from the Bank of Japan spooked markets. Furthermore, with volatility across global asset classes falling during the month of August, the risks of market complacency rose dramatically, evidenced by Friday’s selloff across risk assets. With volatility measures at the highest levels in three months, any surprise decision from the Central Bank during its upcoming decision could see a further pickup in volatility. Instead of following its strategy of surprising markets with its decision, the Bank of Japan intends to release a comprehensive monetary policy review designed to alleviate investor concerns about the outlook for policy. However, at this point, the only two strategies really available for the Central Bank are lowering interest rates or adjusting the duration of its bond holdings. Operation Twist Set for Reprise? Back when the Federal Reserve was undertaking its own monetary stimulus strategy with quantitative easing, it encountered problems due to how it structured its own government bond purchases. The idea was to decrease longer-term borrowing costs by selling bonds with shorter-term durations and purchasing bonds with a longer time to maturity. Swapping maturities of its bond portfolio was referred to as a twist. Japan now faces the opposite problem, with a heavy weighting on the longer-term duration of its Central Bank bond portfolio. Markets have been speculating that a “reverse twist” may be the next announcement, either in lieu of or accompanying lower interest rates. In this case, the Central Bank would sell long-dated bonds in an effort to add more short-dated bonds to the portfolio. However, the risk is that it could spark massive volatility, especially as investors shift around to avoid a bond selloff. Now that the Bank of Japan owns approximately one-third of the local government bonds, the risk is that the long end of the bond yield curve collapses. The problem with selling longer-dated bonds to buy short-dated bonds is that the subsequent selloff could ripple across global asset classes thanks to the high level of interconnectedness of financial markets. While it would help alleviate recent appreciation pressures on the Yen, it could also create what is known as a Value at Risk (VaR) shock. If bonds are sold, prices will decline rapidly, hurting bondholders as yields rise. However, the bigger risk lies outside of bonds. With leverage across financial markets exceedingly high at the moment, any major risk reversal could lead to significant deleveraging which specifically hurts equity benchmarks and the USDJPY pair in particular. Although economic data will be slightly lighter this week, inflation data from the United States due on Friday could adjust interest rate expectations for the following week’s FOMC Meeting. Should inflation come in better than expected, it could set the stage for another rate increase as soon as next week. While this would help alleviate downward pressure on the USDJPY pair, it is contingent on a result that spurs rate hike speculation. The Bank of Japan decision is also set for the following week and while no major surprises are expected, any further decline in interest rates or announcement of a reverse twist could send the USDJPY pair soaring. Nevertheless, absent any changes from either Central Bank, the recent period of weakness in USDJPY is likely to persist until the outlook for policy gains much needed clarity. However, as the available choices show, the Bank of Japan faces difficulties either way.